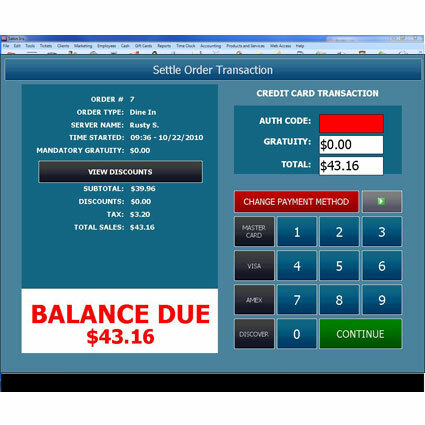 Amigo Point of Sale v7 is a great choice for restaurants needing an easy to use and scalable solution. 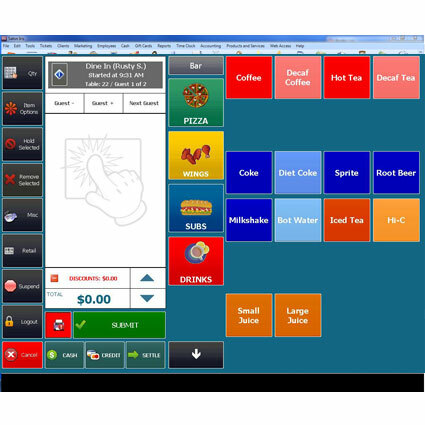 Supporting dine-in, carry-out, and even retail ordering methods, Amigo Point of Sale is a single solution to meet a variety of restaurant needs. 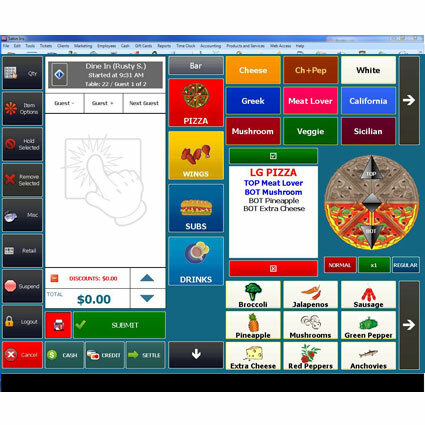 Amigo Point of Sale´s colorful menu system is easy to navigate, making employee training quick and effortless. 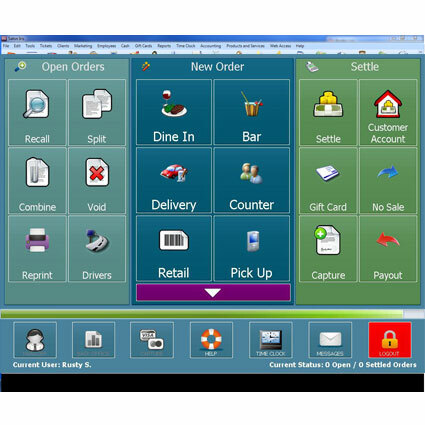 Built on your choice of Microsoft´s Jet or SQL 2008 database engines, Amigo Point of Sale can easily export reports to meet your needs. Straightforward integration with Intuit´s QuickBooks Accounting Software allows for greater reporting of sales data in QuickBooks´ familiar setting. •Users with more than one terminal or remote printers must ensure that the terminals (and print servers, if applicable) are connected to a stable, reliable and secure simple Windows peer-to-peer network. network. Wired networks are strongly preferred for maximum reliability. *PCCharge Payment Server users running IP transactions must ensure that a reliable high-speed internet connection is available and that a backup modem is available for dial-up processing in the event of network interruption.